Healthcare professionals should review the prescribing information in the labeling for detailed information about the approved uses. Biologic products are generally derived from a living organism and can come from many sources, including humans, animals, microorganisms or yeast. A biosimilar is a biologic product that is approved based on a showing that it is highly similar to an already-approved biologic product and has no clinically meaningful differences in terms of safety, purity and potency (ie, safety and effectiveness) from the reference product, in addition to meeting other criteria specified by law. The FDA’s approval of Amjevita is based on review of evidence that included structural and functional characterization, animal study data, human pharmacokinetic and pharmacodynamics data, clinical immunogenicity data and other clinical safety and effectiveness data that demonstrates Amjevita is biosimilar to Humira. It has been approved as a biosimilar, not as an interchangeable product. 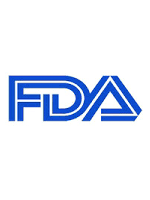 The FDA, an agency within the US Department of Health and Human Services, protects the public health by assuring the safety, effectiveness, and security of human and veterinary drugs, vaccines and other biological products for human use, and medical devices. The agency also is responsible for the safety and security of our nation’s food supply, cosmetics, dietary supplements, products that give off electronic radiation, and for regulating tobacco products. US Food and Drug Administration. FDA approves Amjevita, a biosimilar to Humira. Updated September 23, 2016.